I am a n00b when it comes to the Kindle world. 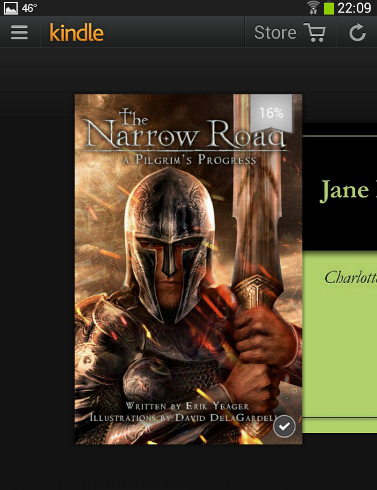 When The Narrow Road came out with their e-book version, I was eager to read. 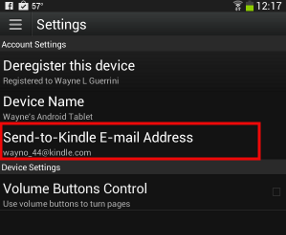 As I discovered, there are no posts on how to set up an Android based device for Kindle. 1. 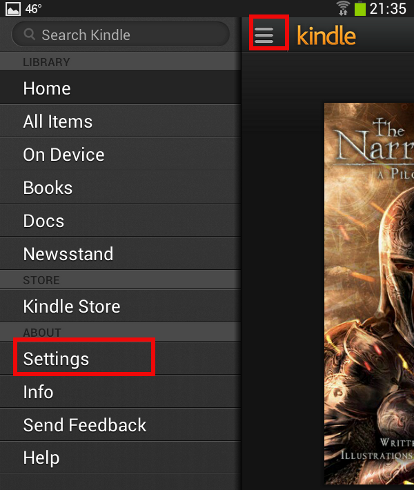 Download and install the Kindle application from the Android Play Store. Sign into the Kindle application. 2. We need to get some information from the Kindle Application. To access the settings, you will see 3 horizontal lines (see picture below) in the top LEFT of the screen (it is depicted on the top right here, but the 3 horizontal lines are what you are looking for in the top LEFT.). Press that, and it will open up the menu. 3. We want to access the settings, so again press the settings button (see screen above). 4. 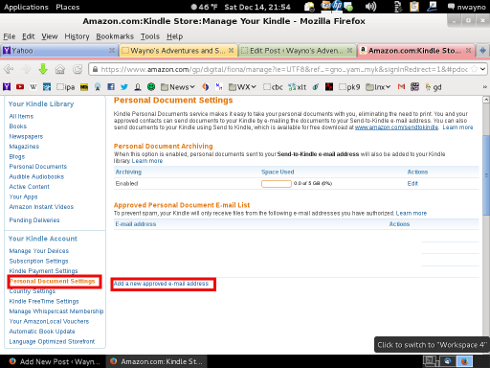 The information we are after is Send to Kindle Email Address (highlighted in Red Below.) Write that down, we will use that later. 5. Now we want to login to our amazon account. 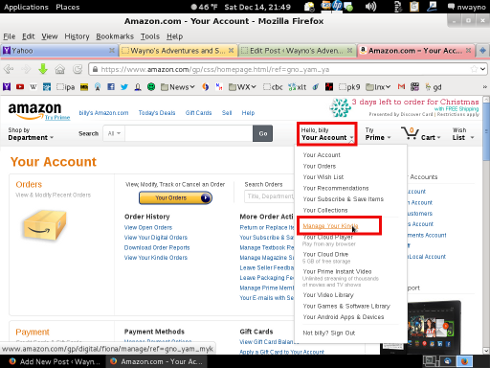 Go to the dropdown menu under your account (see below), and LEFT click on Manage Your Kindle. 6. 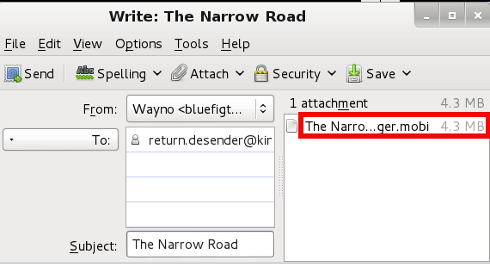 Click on Personal Document Settings on the left (see red highlight.) 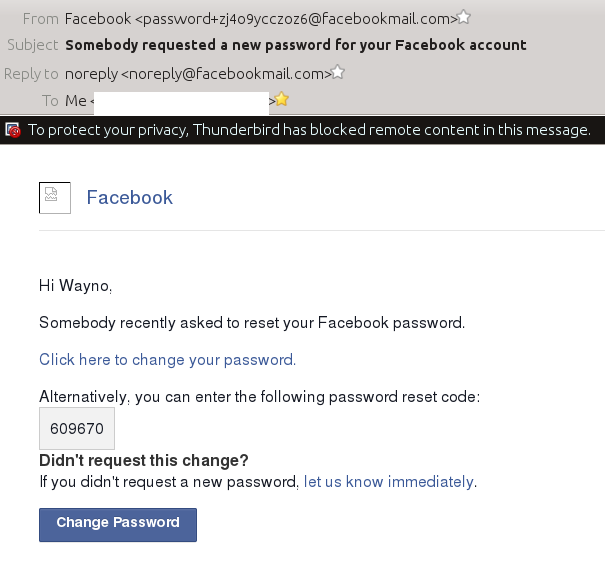 We want to add Add A New Approved Email Address. 7. Add the email address you will be emailing the document from. The following document, sent to you by yourname@youremail.com could not be delivered to your Kindle because the sender is not in your Kindle approved e-mail list.